Welcome to the New Years Thank You Card Blog Hop!!! 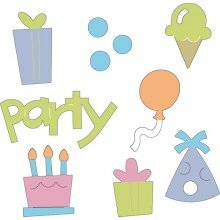 This is the first stop in the blog hop. There are a total of 35 blogs participating, so grab your favorite drink (an iced skinny cinnamon dolce latte for me) and sit back and enjoy the hop. You’ll want to be sure to come back over the weekend, since some of the participants will be posting multiple cards over the course of the weekend! So I just got the Winter Frolic card (had a cartridge shopping spree) and I really liked this image. 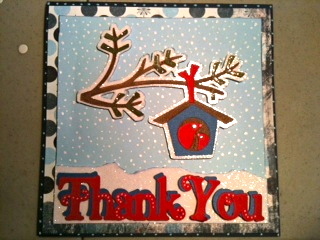 It doesn’t snow here, but I usually tend to do my Christmas Thank You cards as a snowy image. Card is made with Bo Bunny paper (background) and Best glitter paper and the rest of the paper is from JoAnn’s. I bought a bunch of 6 1/2 * 6 1/2 envelopes, so I’ve been on a 6*6 card kick lately. 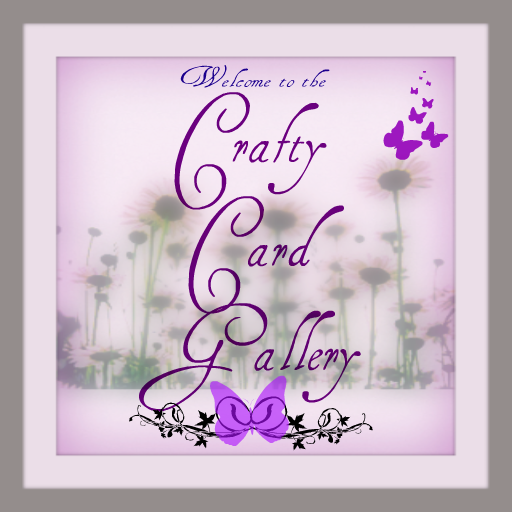 1) A free copy of the Crafty Card Gallery iPhone app. I will email you a free code for the app. to go to Courtney’s blog. Here’s the full list of blogs in this weekend’s blog hop… You have some great cards coming up…. Thanks so much for “hopping” by. I hope you have a happy, healthy, crafty & prosperous 2011! 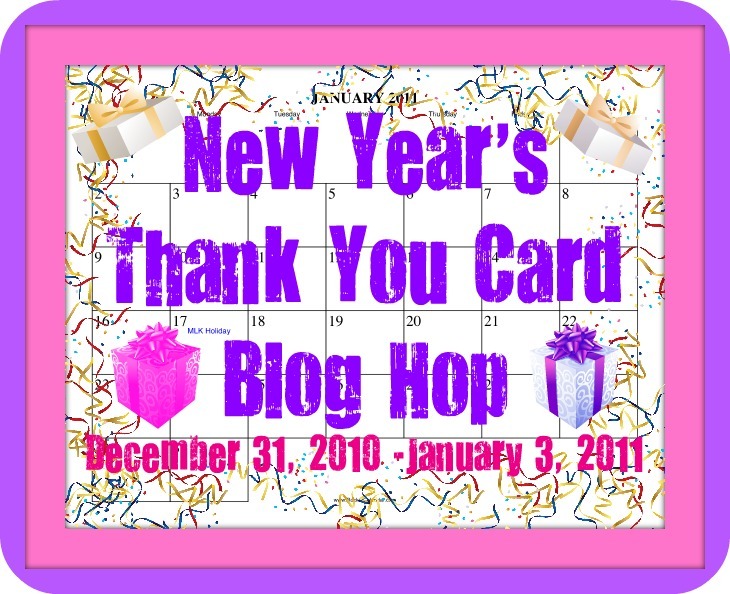 The Manic World of Mrs. Weyremaster is doing a blog hop with each blogs 10 favorite cards of 2010. 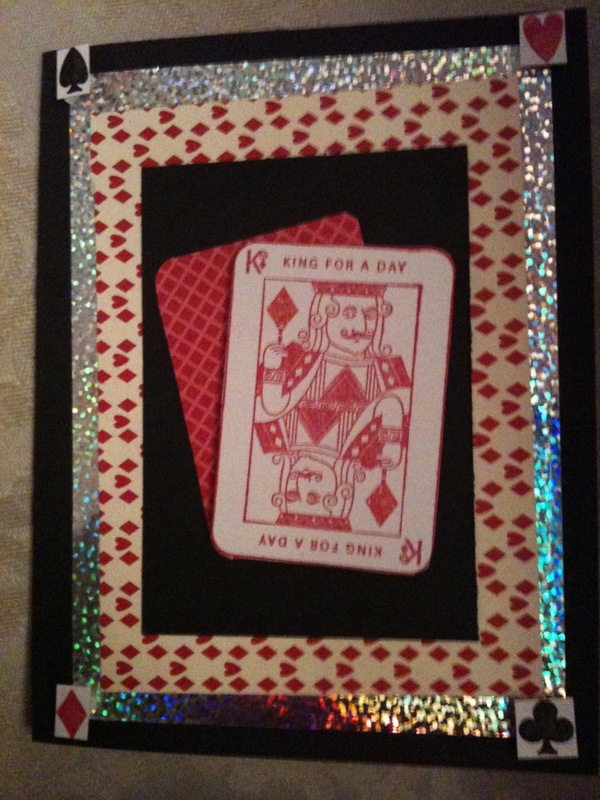 I think this is a great idea for a post – my favorite cards I made in 2010…. So here’s my attempt at it… I hope you enjoy…. 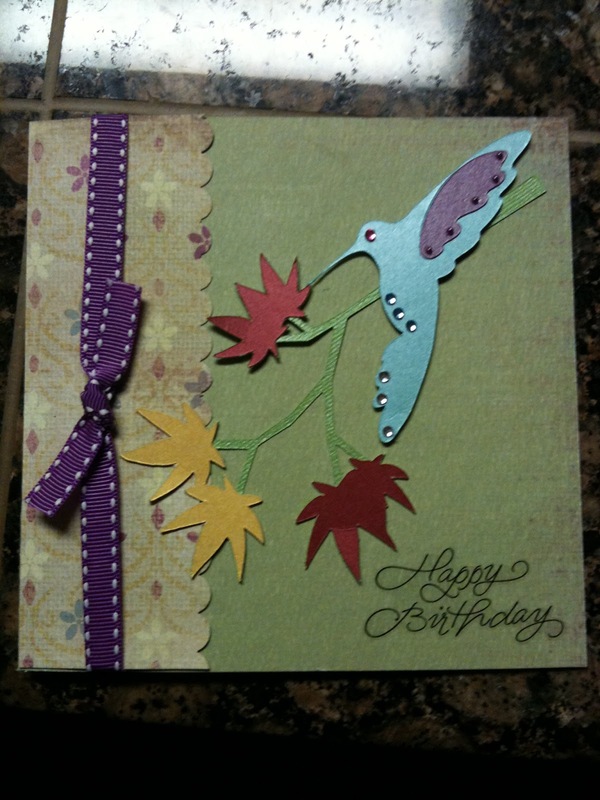 1) My Mom’s birthday card – She loves hummingbirds! 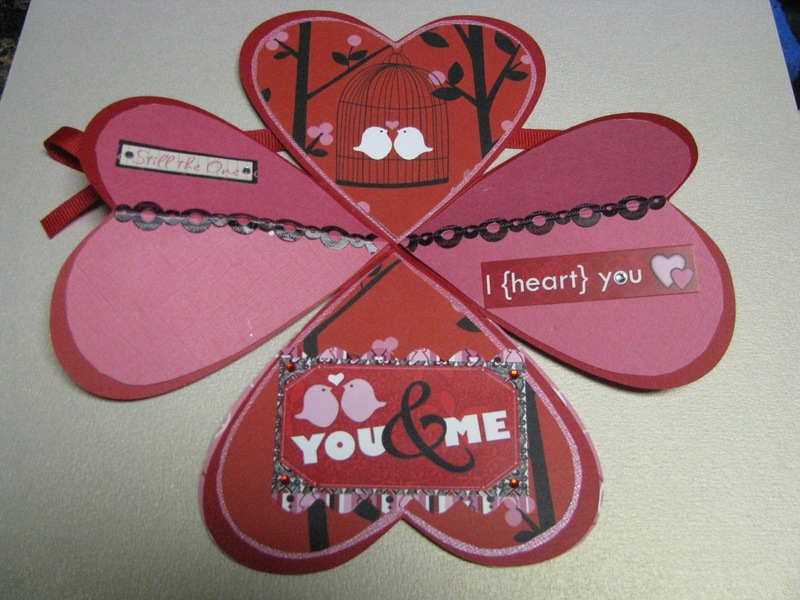 3) Another card I made for the card swap – I love this paper! 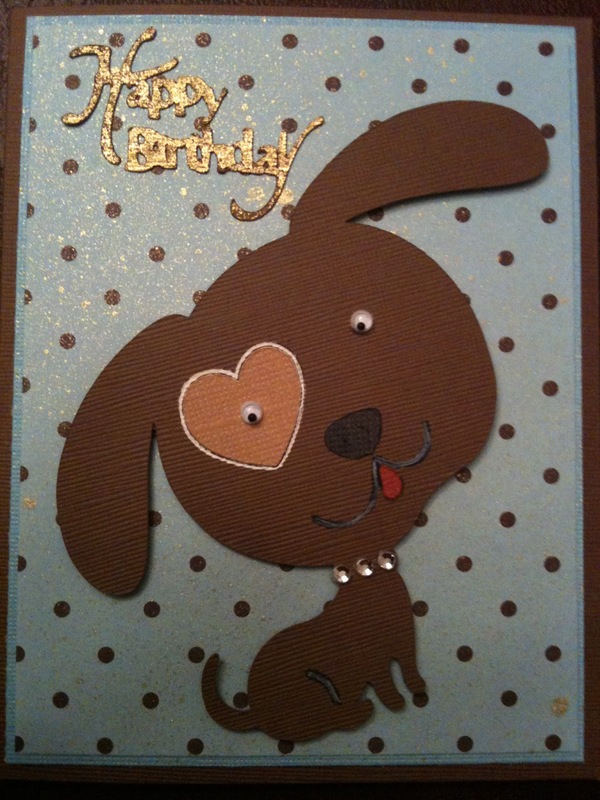 4) Friends’ birthday card… She loves dogs…. 9) Man Card – I love the diamond plate (made myself) and the detail on the tools! Hope you’ve enjoyed my recap…. Happy last few days of 2010!!! Enjoy them! I just want to wish you all a Merry Christmas & a Happy & Prosperous 2011! I hope it’s a wonderful year for you! Here is my Christmas Card this year…. I have met (via email) so many wonderful people through the app & this blog & the Facebook page… I’ve really enjoyed it!!! I hope to meet many more of you in 2011! I have my thank you cards all worked out (since I’ll be making the card that I’m doing for the blog hop). It feels good to be ahead of schedule for once…. I have to say I am in love with the paper, so I can’t wait to get started working on them!!! And more exciting news – I will be having guest designers for January & February…. I’ve already seen some of the cards that will be posted, and they are fabulous! I think you will have a wonderful time in January & February meeting some new designers and seeing their talents. That’s all for today…. 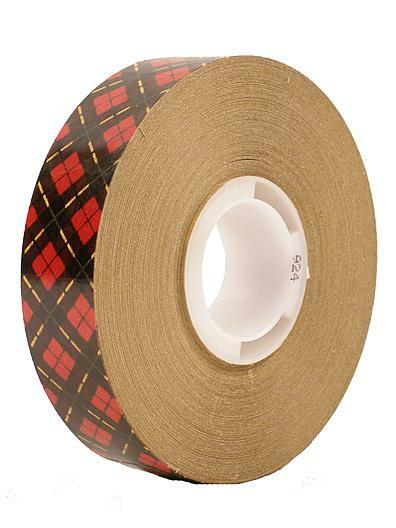 I need to go wrap some presents! Enjoy your Christmas and here’s wishing you all the happiness your holiday can hold!!! So I spelled out their names on my gypsy, welded the letters together (not perfectly in all cases!) and cut them out (winter woodlands cartridge). 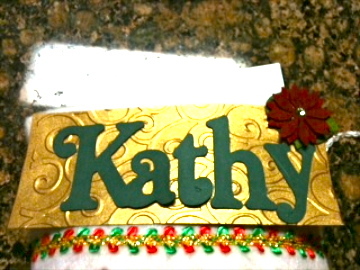 I then cut out a piece of gold metallic paper, and embossed it in my cuttlebug (swirly one) and then added one of the poinsettias I had left over from my Christmas cards. I then used big glue dots to attach it to the stocking. I think they came out cute! I also made pyramid candy holders, using some old paper that I had (Yeah!) and my scor-pal (see instructions) They were very easy…. I love the hedgehog stamps…. I did one as a Christmas card a few years ago… I was cleaning out my drawer of cards a few weeks ago, and saw this card that I had ripped the back off (must have made & addressed it & not mailed it). I think it’s so cute I have to share…. Ok, so if you’ve been following on Facebook, you know I’ve posted a few cards, but couldn’t get them to post here. So I will post one new card, and the other 2 cards that were already on Facebook (since I couldn’t get them to post from my phone)…. So first, the new card – my cousin had a baby (she’s a super cutie – I saw her on Sunday), so this was the baby card I made for the happy new parents…. I love pink & brown combined and especially for babies! The baby carriage & welcome are from wrap it up. 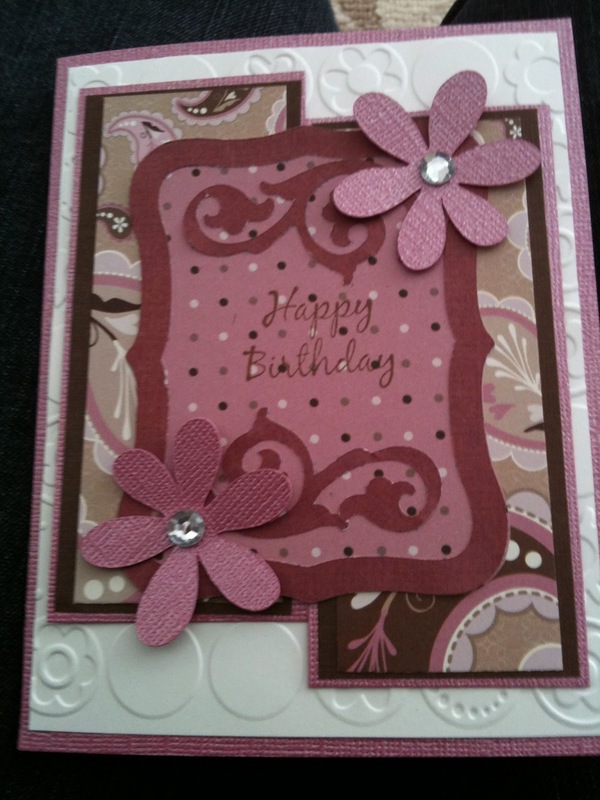 I used pink & brown cardstock & used the scallop cut from wrap it up for the card base. I used pearls to accent. 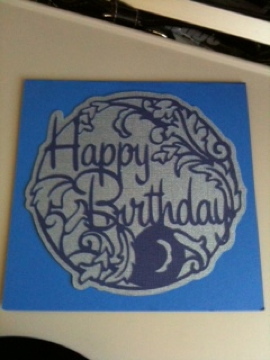 Then a card for my grandma’s 90th birthday…. Again, cute pink & brown paper. I used Martha Stewart Elegant Cake cartridge for the lace border & I think that’s where the sentiment came from too. 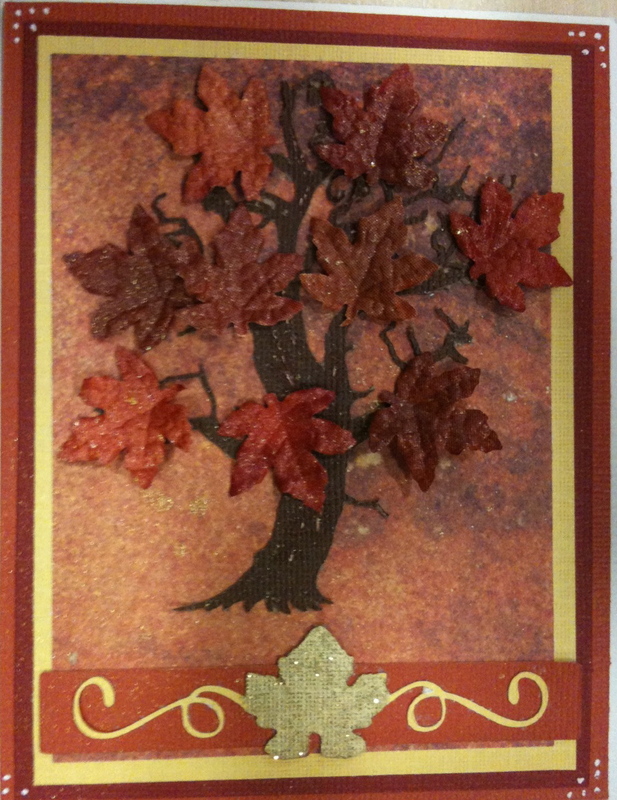 I used pearls on this card as well, since it looked better than bling…. 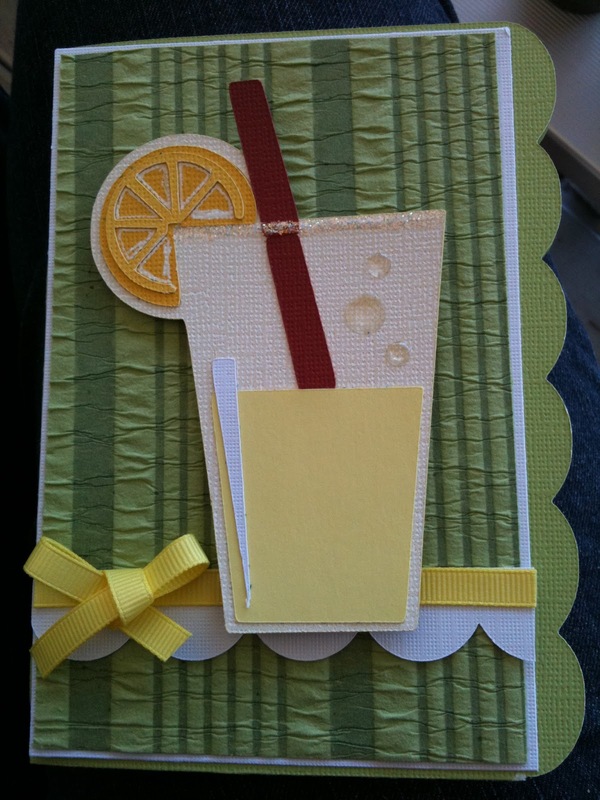 And a birthday card for a co-worker…. Using paper lace cartridge… Can you tell I got some new cartridges? At least I’m using them! That’s it for today. 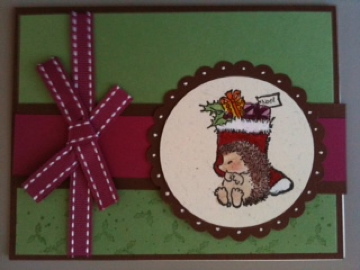 Check back tomorrow & I’ll have a cute hedgehog card for you!